Logins this hour: 3846 ? You can track changes in call and shift schedules. Assignments that differ from the original are tagged with blue switch arrows, . When you're ready to publish a new schedule period, click outside the schedule calendar on any empty gray area. Or, in the table format, click on any date cell along the top of the table. In the Infobox, click the Track Changes button. OnCall stores a copy of the schedule so that it can compare future versions against the original. When you store the schedule, OnCall makes a copy of only the dates currently displayed. If you view by month, for example, it'll store that month's schedule. Turn on the flag switches checkbox so that swaps and changes will be displayed on your schedule. After storing the schedule, any changes will be annotated with blue switch arrows, . Place the tip of the cursor over the arrows to see who was originally assigned to the shift. If you've stored a schedule for tracking changes and then make many changes which you don't need to track, click the Track changes button again to replace the previous copy with what's on screen. 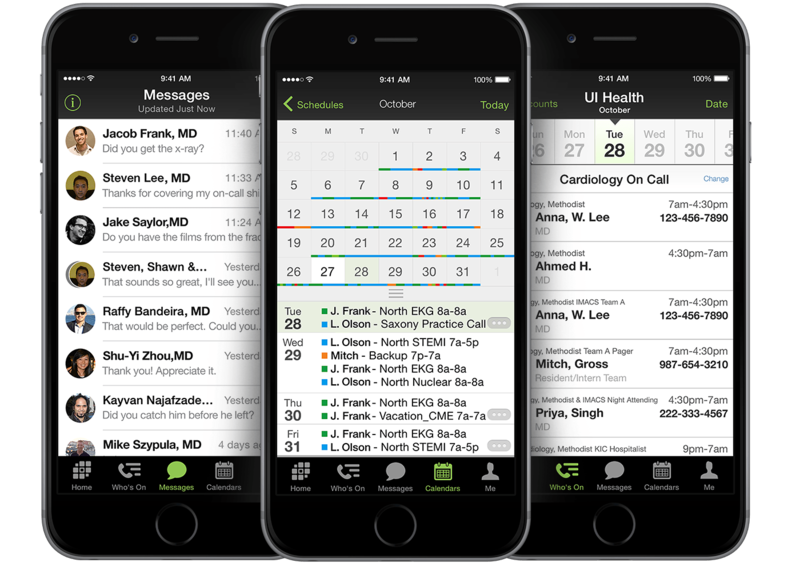 Changes the scheduler makes in OnCall and shift trades people negotiate on their own will generate a change flag.